AARDEE's Air Compressors Can Either Produce Pressurized Air For Further Treatment By Others, Or Delver Instrument Air Treated To Suit Client's Instrument Air Specifications. The Selection Of The Compressor Depends On Factors Such As, Capacity, Discharge Pressure, Required Air Quality, Ambient Conditions. 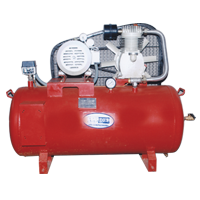 AARDEE Is Capable Of Designing Air Compressors For Harsh Conditions. Our Installations Operate In Desert & Arctic Climates With Ambient Temperatures Up To 55 °C And Down To – 50 °C. Special "Off-Shore" And/Or Hazardous Area Applications Have Also Been Realized.